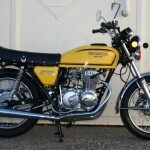 Restored 1977 Honda CB400F Motorcycle. The bike was sympathetically restored in 2012 and had the frame repainted (base/clear) and most of the other frame parts powder coated gloss black. Most of the rubber parts were replaced with OEM Honda parts. 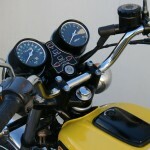 The original side covers were repainted and reproduction 400 decals were applied and clear coated. 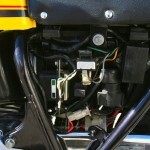 The front master cylinder was replaced. Both wheels were rebuilt with new spokes. 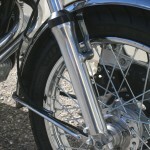 The front fender and chain guard were re-chromed. 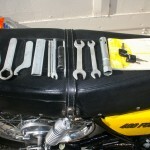 The front forks were rebuilt with new seals and dust covers. The lower tubes were polished. 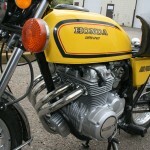 A very nice restored Honda CB400F Motorcycle. 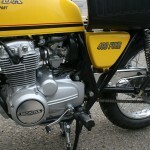 Honda CB400F – 1977 For Sale or Wanted? 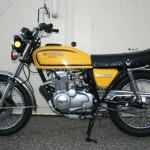 If you're looking for the perfect Honda CB400F – 1977 for sale then take a look at the hundreds of restored classic motorcycles listed on our extensive Motorcycles For Sale pages. 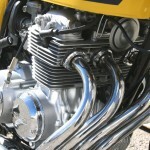 We regularly feature very nice restored Honda CB400F – 1977 bikes for sale. 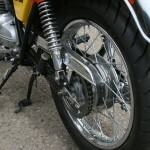 Spares and Parts for your Honda CB400F – 1977? 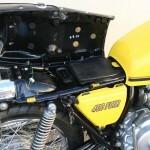 Workshop Manual for your Honda CB400F – 1977?